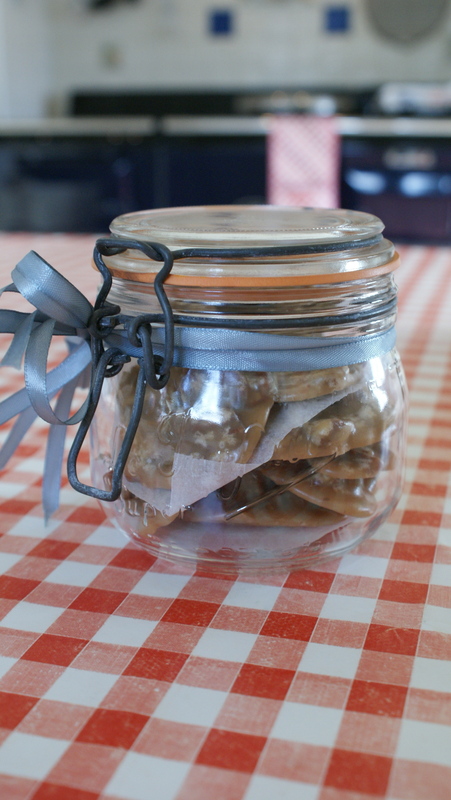 Oh my goodness these are good and sweet, perfect with a cup of tea! 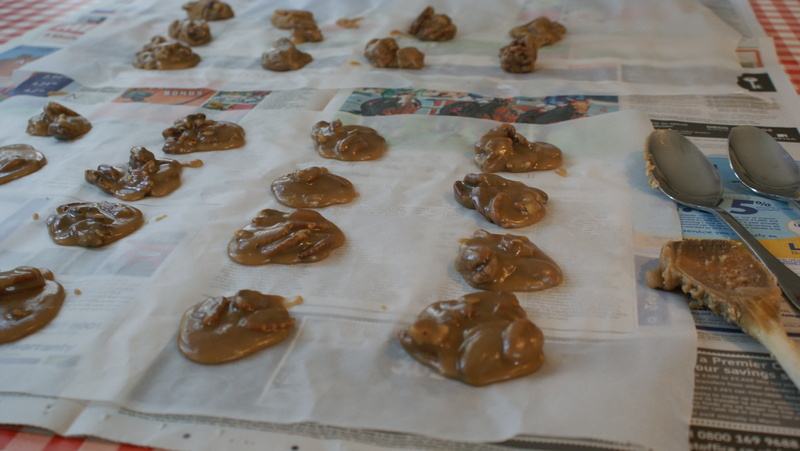 My first attempt was somewhat successful…the pralines taste divine but they ain’t real pretty! 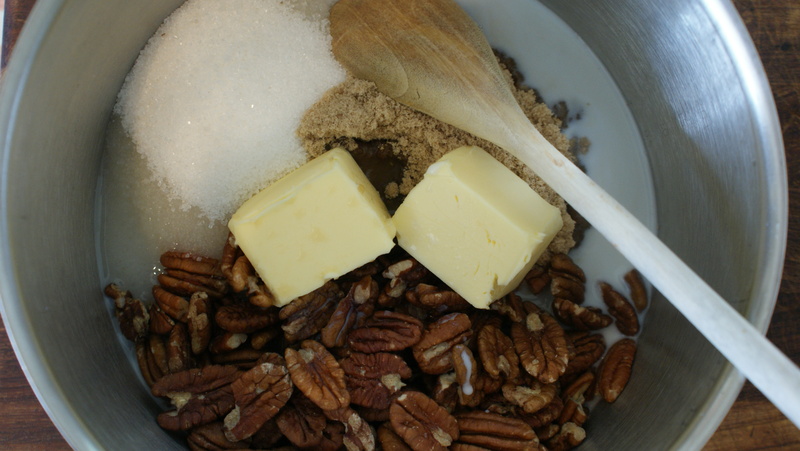 But once you’ve tasted one of these delicious pralines that really doesn’t matter. 1. 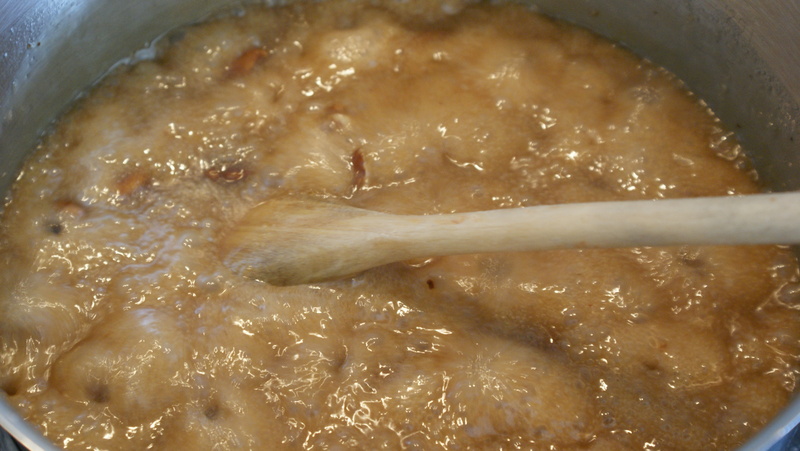 Combine all ingredients and bring to a “softball stage” (238-240 degrees F), stirring constantly. Remove from heat. 2. 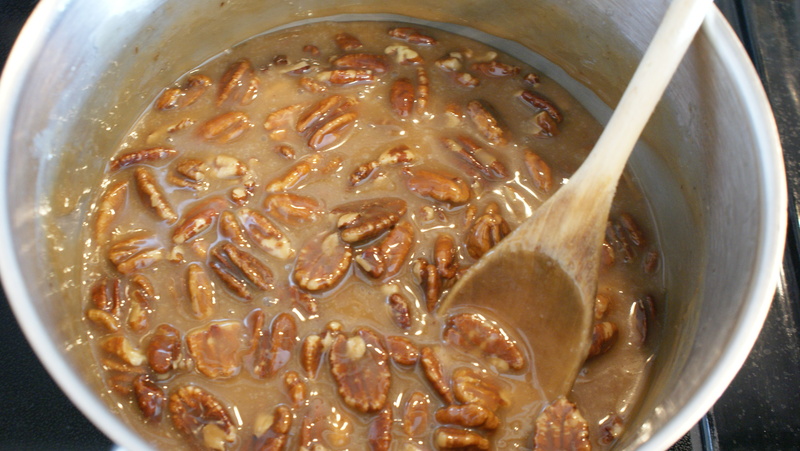 Stir until mixture thickens (again stirring constantly), becomes creamy and cloudy, and pecans stay suspended in mixture. 3. Spoon out on to baking paper with plenty of newspaper underneath to stop it going through and marking the work surface. 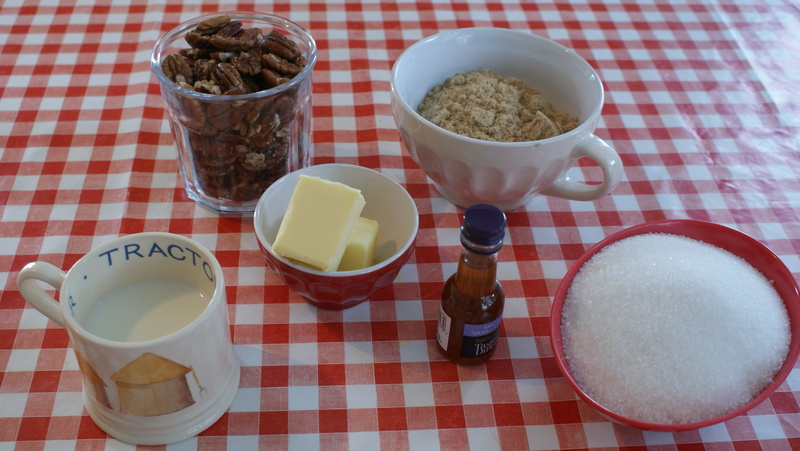 This was the tricky part…you have to move fast to get the pralines on the baking paper before the sugar starts to get too thick…as you can see the ones at the back were not as pretty as those in the front row! You clever thing – they look amazing! !